SEBI BARS 3 MERCHANT BANKERS AND 7 COMPANIES FOR IPO VIOLATIONS. The merchant banker who have banned are PNB Investment Services, Almondz Global and Artherstone Capital. IPO ANALYSIS: GOODWILL HOSPITAL AND RESEARCH CENTER LIMITED : INFLATED MARGINS,QUESTIONABLE INTEGRITY, HOPELESS MERCHANT BANKER - AVOID. IPO GRADE : GRADE 3 BY CARE. Goodwill Hospital, which runs a multi specialty hospital of 220 beds in Noida under the brand Ojjus Medicare, is planning an IPO to mobilize Rs 62Cr for expansion. Each equity share carries one detachable warrant. SPA Merchant Bankers Limited are the book running lead managers to the issue. Goodwill Hospital focuses on core areas such as neurology and neuro surgery, cardiology and cardiac surgery with emphasis on joint replacements and sports injuries. It also provides other services like pediatrics’, diagnostic, critical care medicine, oncology and dermatology. Goodwill Hospital was established in 2000. 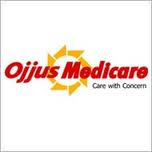 In Dec 2007, Ojjus Medicare Pvt Ltd took over the management and it was reorganized as a multi specialty hospital. Currently, Ojjus holds entire 100% stake in the company. As of November 2011, the hospital has a team of 40 full time doctors, 94 nurses and 47 other medical personnel. The hospital has installed ‘Perfexion’ – Gamma knife machine - for non invasive treatment. Goodwill is one of the few centers in South and South East Asia to install Gamma Knife machine also called fifth generation machine, which uses robotic technology to deliver precise radiation for treatment. The Company intends to use issue proceeds for setting up of diagnostic center at Faridabad (Rs 16.22 crore), establishment of six polyclinics (Rs 33.97 crore) and repayment of loans (of Rs 10 crore). Goodwill Hospital reported a net profit of Rs 4.33 crore on total income of Rs 16.08 crore in the quarter ended June 30, 2011. For the financial year ended on March 31, 2011 - company posted a net profit of Rs 15.72 crore and total income of Rs 53.58 crore, an increase of 471.6% and 134% over previous year, respectively. 2. Funds requirements have not been apprised by any bank / FI, there are no definite plans as the company is yet to receive many approvals. Properties where they are planning polyclinics are not yet identified. 3. The project has already been delayed. 4. Very high debt equity at 3:1. 5. The company had earlier defaulted in payment of lease rental to a group company and there are corporate governance issues. 6. The promoters are non doctors and inexperienced. As IPO was envisaged, the company in the last 3-4 quarters has reported robust numbers. However payment to suppliers and consultant doctors has been delayed which raises doubt on the revenue numbers and margins reported. An expert in the health industry opines, margins reported by the company are not sustainable. More over the IPO is only to mobilize funds with no definitive plans. IPOs from health care segment have not rewarded the investors in the past. Some companies like Noida Medicare and Malar hospitals have gone into oblivion. Fortis Health, Indraprastha and Birla pacific Medspa all have disappointed the investors. INVESTORS CAN GIVE A MISS TO THE IPO. Strange but true. Both the FIIs and DIIs are net sellers in cash market today. In spite of this Sensex was up by more than 500 points, largely due to short covering of positions by operators. Moody's up graded the India's sovereign debt to stable. First up grade in the last 7 years. This news came after the closure of the markets. Expect some big ticket buying by FIIs in the coming days in the back drop of debt up gradation and softening of dollars. Sentiment across the globe has changed for better. Stocks in U S and European countries closed higher. Asian markets are expected to open and close in green. NIFTY may stage a 100 points rally today and another 150 points rally in the next 2-3 days. RIL, SBI, L&T, HERO, HINDALCO, ICICI, HDFC BANK, AXIS, Maruti, Tata Motors and Tech Stocks, among others would see renewed buying interest. NIFTY recovered more than 60 points from the intra day low, to close at 4623, still down by 39 points. Reliance which has the highest weight-age among the NIFTY stocks, lead the fight back rally with 2% gain. Tata Motors and Cairn were up by more than 4% each. Banks, Infra and the metals were the hardest hit. Axis, ICICI, SBI, L&T, PNB, RCOM and Tata Power - all touched yearly lows, before recovering a little. Turnover, in cash segment was more than the average turn over witnessed in the last two weeks. Labels: cairn and tata motors lead back fight, FRANKLIN TEMPLETON AND LIC UP THEIR STAKE IN RELIANCE INDUSTRIES. 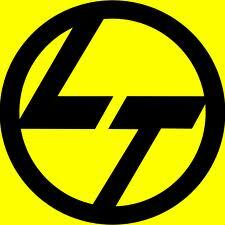 L&T Infra, for the second year running has come out with the long term Infrastructure Bonds. This tax-saving bond facilitates to invest indirectly on a long term basis, in infrastructure projects across the country. By investing in L&T Infra 2011B Bond Series, investors can save tax and earn an annual interest rate of 9%. The 2011B series provides investors buyback options at the end of 5 years and 7 years. In addition to this, 2011B Bond Series provides investors the option of holding the bonds in Physical or Demat form. The bonds has been rated AA+ by ICRA AND CARE. The negativism on the euro zone crisis and expected GDP growth has been over done. The bears have taken advantage of both the external and internal factors and have created fear psychosis in the market. The coalition completion is making it difficult for UPA-2 to take major reform initiatives. The retract of retail FDI, the 2G scam and Lokpal logjam have added fuel to the fire. The market is driven by sentiments, news flow rather than the fundamentals. The situation locally or in the euro zone is not as bad as is perceived. RBI is likely to cut CRR rates in Jan 2012. Major policy decisions are likely to be cleared in the next 3-4 weeks. Markets have almost bottomed out. Stay invested in quality stocks. In this series, First Choice IPO recommends to buy Tata Steel (Rs 364), ICICI Bank (Rs 673) and L&T (Rs 1061). SEBI has modified and tightened the norms for allotment of shares to Anchor Investors, in an IPO. Hither to merchant bankers were using their discretionary powers to allot shares to favorite institutional entities as part of anchor investor(AI) mechanism. As per the new guidelines there should be minimum of 2 and maximum of 15 AIs for an allotment tranche above Rs 10Cr and up to Rs 250Cr, subject to a minimum allotment of Rs 5Cr per AI. In case of an allotment in excess of Rs 250Cr, a minimum of 5 and maximum of 25 AIs has been proposed. Shares to AIs are allotted just a day before the issue opens and are subject to 30 days lock in period. The unscrupulous merchant bankers and the issuers were using this route sell the poor quality issues and rig the share price post listing. We have seen this happen in many recent IPOs. The possibility of finding some solution to the crisis in euro zone, coupled with positive economic data from U S may help the Sensex stage a smart rally this week. Labels: CONTRARY OPINION : SENSEX TO GROW IN EXCESS OF 20% IN 2012. NIFTY may stage another 100 points rally in a day or two, largely due to positive sentiments prevailing in the euro zone and U S. Yesterday in spite FIIs net selling in excess of Rs 300Cr in cash market, NIFTY gained 141 points due to short covering. Big daddy of Indian stock market has been a net buyer, on daily basis, through out the month. Most of the stocks sold by FIIs this month has been mopped up by to one of the strongest hand in domestic market. DIIs have net purchased in excess of Rs 6200Cr, in cash market, in the last 10 trading sessions. Expect an un expected rally. Labels: NIFTY TO RALLY ANOTHER 100 POINTS TODAY. The negativism on euro zone, U S problems and dollar appreciation are over done. The situations in those countries are not as bad as perceived. The winter session of Parliament is likely to pass some important bills which will boast the market sentiment. INVESTORS ARE ADVISED TO STAY INVESTED. SKS Micro is down 5% today, in the opening trade(Rs 135). The market cap of the company has come down below Rs 1000Cr. BANKS, INFRA AND METALS DRAG NIFTY BY 90 POINTS. Banks continue to reel under pressure post re rating of out look by Moody's. The negative demand out look for the sector has hit hard the realty and infra companies. DLF, L&T and JP Associates were down from 4 to 7%. Axis, ICICI, SBI, Kotak and HDFC Bank - all closed in the negative. ADAG stocks continued their down ward trend, today too. CIPLA, Tata Motors and Grasim were the only stocks that closed in the positive among NIFTY stocks. The uncertainty in euro zone continues to haunt the markets. There was lack of buying interest by Institutions. Some ADAG stocks, SBI, Cairn, Axis and Tata Motors are the prominent gainers in today's trading. Trading volumes were one of the lowest in recent times. SKS Micro as expected reacted to the results and closed 8% down at Rs 192. Ahead of its result tomorrow, SBI was up by 1.6% and closed at Rs 1997. BPCL, IDFC and Sun Pharma were the big losers and all the 3 lost around 3%. FIIs net bought to the extent of Rs 456Cr. The controversial micro finance lender has posted a loss of Rs 614Cr for the half year ended 30-09-11. The company, apart from regulatory hurdles is mired with governance issues. PE investors like Sequoia, Vinod Khosla and Catamaran, who have invested in the company before the IPO, have lost heavily, since the share price has crashed from all time high of Rs 1415 to current Rs 200 level. SKS Micro is one of the top value destroyer IPO of 2010, which was managed by Kotak Mahindra, Citi group and Credit Suisse Securities. GREEK DRAMA ALMOST OVER, MARKETS TO MOVE UP. Greek prime minister winning the crucial confidence vote and his decision to step down from the post is the best possible thing to have happened in the euro zone. Whether Papandreou is going to be re elected or some one will be at the helm of affairs is of lesser significance, since coalition partners and opposition parties have broadly agreed on the euro zone proposals to save the country from being defaulted and bankruptcy. This is positive news for the world economy in general and in particular for the countries in Europe. U S too wants growth momentum to pick up steam in euro zone and ready to help the troubled countries to the maximum extent. As a lender of last resort IMF too may step in to defuse the situation. In spite of global turmoil India growth story remains in tact. The weak global sentiments are deterring the FIIs to take a definitive call on our markets. The positive developments in Greek are sentiment boaster for global markets. Markets in Asia are expected to move up this week. Labels: GREEK DRAMA ALMOST OVER, MARKETS TO MOVE UP. There are visible holes in SKS Micro balance sheet. Post A P regulation the recoveries in Andhra Pradesh have dropped substantially. The business out look is gloomy. There are regulatory hurdles. RBI has capped the lending rate and margins. Added to this is the lack of corporate governance and credibility. Last year the IPO was sold at an irrational premium of Rs 975. The company has limited operational history and no track record of dividend payments. IPO investors’ wealth has eroded by almost 80% within a year. Now the company is planning a QIP issue amounting to Rs 900Cr. The shares currently are trading around Rs 210. The company has to further dilute 15-20% of the equity, in this regard. The saga of super profit and astronomical growth rate are history. It is like just another NBFC with an average business prospects and profitability. The early mover advantage – la exploitation is no more there. There is regulation, education of borrowers and competition. Unlike other NBFCs Micro Finance NBFC’s loan assets are not backed by any tangible securities, making it vulnerable to vagaries of nature, economic environment and government policies. The initiatives of the government for financial inclusion by banks will make business environment challenging for MFIs in the coming days. Banks now are hesitant to take exposure to the sector. This has made funds rising at competitive rates difficult for MFIs. The PE investors including Sandstone, Kismet, Bajaj Allianz, ICP Holdings, Catamaran, Quantum and Tree Line Master Fund controls are around 25% of SKS Micro’s paid up capital. The first five picked at Rs 300 per share and the last two picked up at Rs 636 per share. Apart from opportunity cost, all these investors have suffered huge losses. The present fund rising exercise is akin to an effort towards widening a small hole, to make it a bigger hole. One does not know whom the SKS Micro is going to make 'bakra' this time. SKS is trying to fix a burst bubble with more hot air. The improved sentiments on the euro zone has lifted the stocks in U S and Europe. The same positive sentiments will prevail in Asian markets today. Share prices are expected to move up sharply since FIIs have turned moderately bullish on our markets. HINDALCO,RIL, ICICI Bank, Axis bank and SBI, among others, are likely to sizzle in today's trade. NIFTY closed flat, amid euro zone fears. All 'R' stocks in the NIFTY were active and closed in the green. Rcom, Rel infra, R power, Reliance and Ranbaxy were up in otherwise subdued market. The trading volume too was better than yesterday. IT stocks - Infy and TCS too closed in the red. Wipro was marginally up. Other than SBI, other bank stocks - Axis, ICICI, Kotak and PNB closed in the negative. HUL continue to rule firm and closed at Rs 389, after touching 52 week high of Rs 393. Tata Motors had the highest trading volume at 23 millions. The poor quality IPO - Indo Thai Securities listed today. As against the issue price of Rs 74, the stock closed at Rs 22.40. While analyzing the IPO First Choice had indicated that the fair value of the stock is Rs 20. The company for the half year ended 30-09-11, earned a total income of Rs 731Cr as against Rs 522Cr for the same period in the previous year. The PBT is at Rs 263 (175) and PAT is at Rs 209Cr (159). The PAT growth for the quarter is at 45%,compared to previous quarter. Global cues may force weak opening in our markets. The under current is strong and the market is likely to recover and trade in positive by closing. There are still uncertainties about Greek bail out plans. That is the only negative as of now. The HSBC PMI for India is encouraging. FIIs are bullish on India and are net buyers in the last 3-4 sessions. Stay invested in quality stocks with proven track records. European markets were weak on the fears that the Greek referendum may be rejected. The same weak sentiment was prevailing in most Asian markets which is the primary cause for market closing in the negative, down by 224 points. However the under current in our market is strong and is likely to bounce back once the European dust settles down. The turn over too was less than moderate. Among NIFTY stocks, Hindunilever was the top gainer, up by 3% to close at Rs388.